PT. Megah Buana Property, as the housing developer Bukit Citra Lestari (BCL), Batam Center, the center provides special offers for you to buy the unit Townhouse on the market. 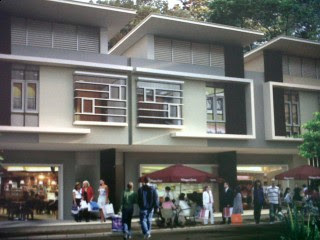 The developer dare hire Townhouse units purchased with a value of Rp 57 million over three years. According Djohan, Director of PT Megah Buana Property, along with the marketing of housing units, then starting August 2010, also began mesarkan unti office and Townhouse. For two-story office was built 32 two-storey Townhouse unti and 52 units. Price perunit for these two types of marketed Rp 315 million. "This is just the promo price, but starting September 3, 2010, the price will go up to Rp 20 million, or a Rp 335 million. For the marketing of shophouses and townhouses also get excited from the community. For the concept of office, to perdanganan and offices, but khsus for Townhouse we develop a center Culinary busiest in the vicinity of Airport Batam Centre, "said Djohan, Monday (08/30/2010). For buyers Townhouse units, the developer offers an attractive way of buying. With the payment of booking fee of Rp 3 million, after which there is the pause time to repay the mortgage down payment (DP) 24 times. When the repayment installments of DP runs 13 times, the courage to rent a townhouse developer purchased at a price of Rp 57 million for the next 3 years. "We will develop this Townhouse region to become a hawker centers and food most comprehensive and busiest airport in the area later. No longer, to get the money back, because we're going to rent and townhouses area specifically for the culinary center. Where else, how easily this way, new installment payments already in the process of hiring some progress, "Djohan fresh again. This townhouse has a lot size of 6 meters times 20 meters, and the size of the building first floor 6 meters by 5 meters and second floor size of 6 meters by 8 meters. Are you interested in owning or investing by buying townhouses, can contact our marketing at 0778-7308725 and 0778-7240829.